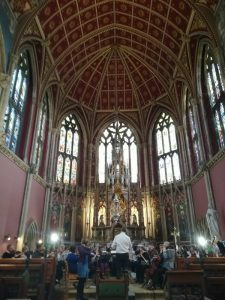 This is the orchestra rehearsing today in the beautiful chapel of Ushaw College, County Durham. We were privileged to perform Tchaikovsky’s violin concerto with Fenella Humphreys, winner of the BBC Music Magazine’s Instrumental Award 2018. If you missed it, you missed a treat. It was amazing!